It is Spring Break week in our little corner of the world. 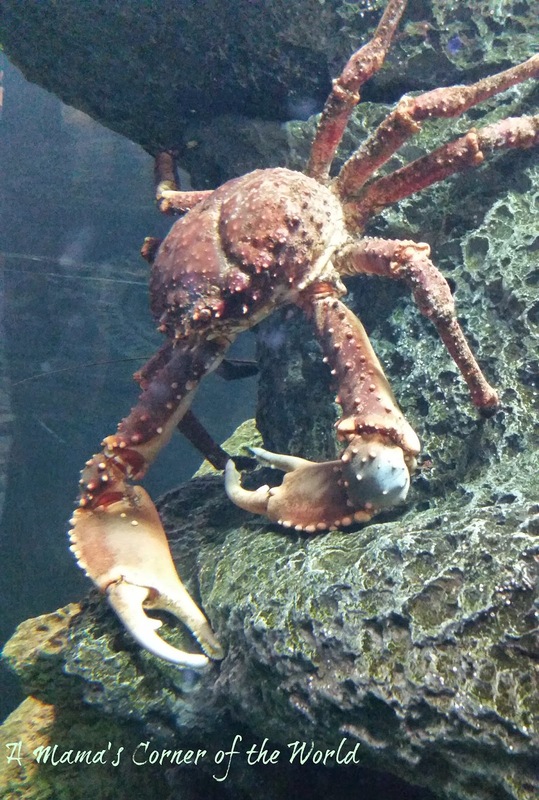 We visited the North Carolina Aquarium at Fort Fisher over the weekend and I wanted to share a few of our favorite photos as this week's Wordless Wednesday Link-Up! Even with his "smile"....he's still a pretty scary creature! 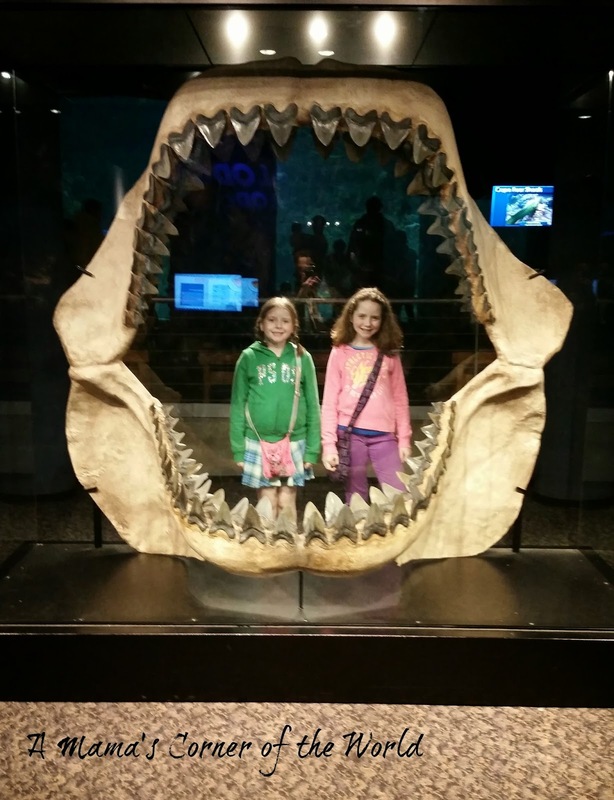 The girls still look small inside the replica of the ancient Megalodon shark jaws. 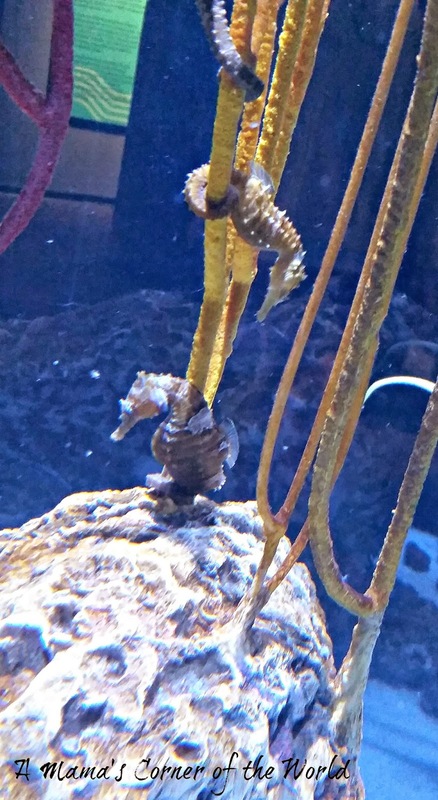 Seahorses are probably my favorite sea creatures! We spent a few hours wandering through the various habitats of the Cape Fear region inside the North Carolina Aquarium at Fort Fisher. 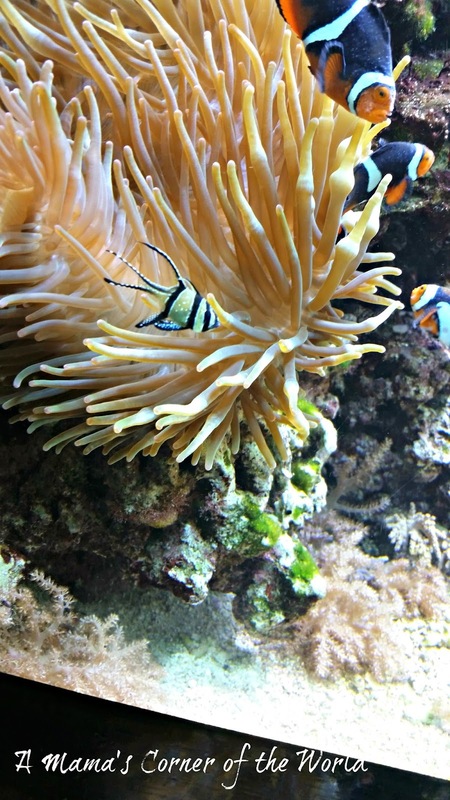 I will have more photos of the Aquarium and of our trip over the next few week! 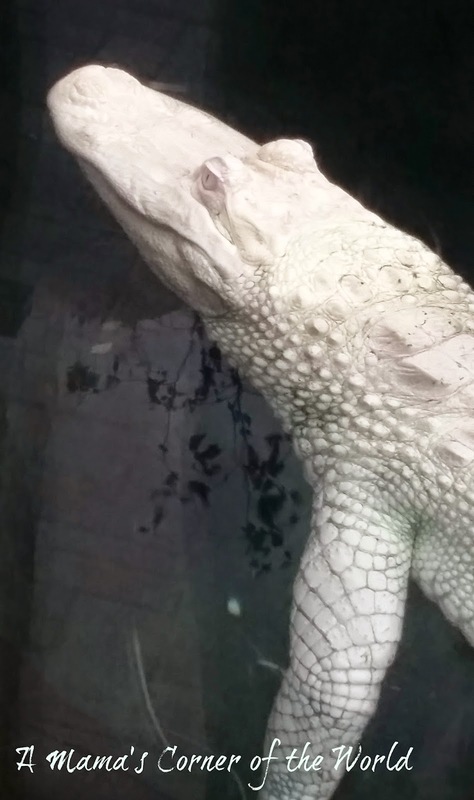 Beautiful photos..... first time I have ever seen ( even a pic) an albino alligator. Great photos. 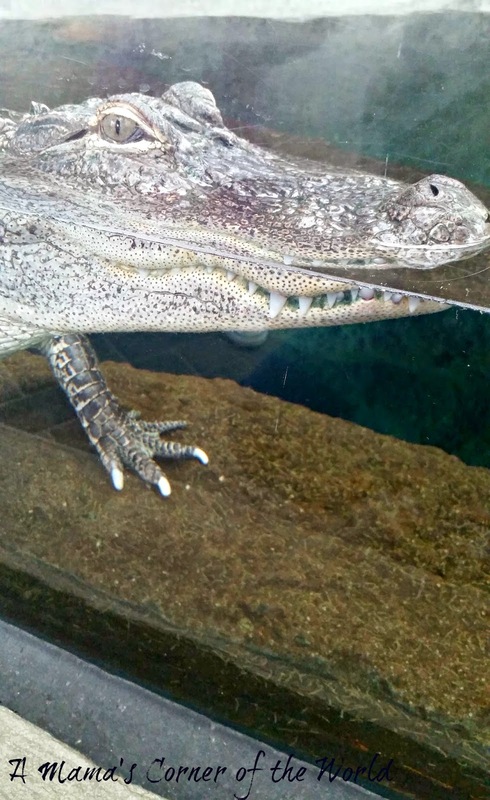 Love the albino alligator. Amazing creatures! Love that massive shark teeth! MASSIVE! Wow I love that albino alligator.